For the past two decades, the Mumbai Metropolitan Region has witnessed tremendous real estate developments. Today the MMR is suffocating due to over-exertion on its resources. Thane has seized this opportunity and come up as an ideal destination for setting up businesses, primary residences and investments. 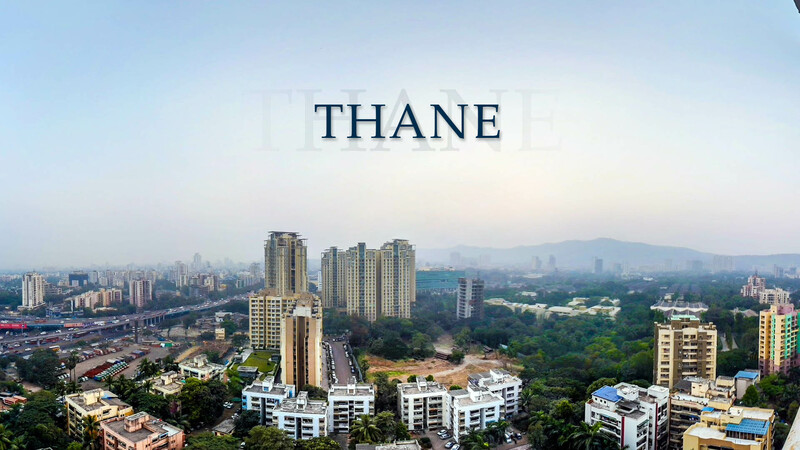 Considered as a distant cousin of Mumbai in the past, Thane has very effectively shed its previous industrial image and has rapidly emerged as a vibrant self-sufficient city. Known as the city of lakes, Thane’s real estate market offers a wholesome mix of office complexes, residential developments, retail malls, educational and hospitals facilities. Thane has now become the city of high rise buildings due to its strategic location and easy accessibility. Other factors like relatively lower real estate prices, excellent infrastructure, and constant lifestyle upgrade initiatives have also played a pivotal role. Residents today in Thane do not feel the need to move out of the city for anything except commuting for work. Its physical infrastructure connects the city to various parts of Mumbai. Flyovers and arterial roads connect the internal areas of the city to other parts of Mumbai. It has excellent rail connectivity via the central and harbour lines. Thane possesses excellent social infrastructure with a presence of numerous educational institutions, malls, amusement parks and hospitals. Thane is also selected in the Government’s Smart City mission and is thus gearing up for the next level of growth and evolution to become a highly attractive residential destination in the MMR. Some of them are The Metro project, Kopri Railway Station, widening of Pokhran road 1 and 2, and the Mumbai-Nagpur Expressway. Other significant social infrastructure projects in the pipeline are the proposed allotment of 113 Ha plot to reputed educational institutes for setting up campuses that impart higher education such as information and communication technology (ICT); Tata Cancer Hospital & Shankar Netralaya – land being allotted to two medical institutions of repute; Elders’ paradise & working women’s hostel – state-of-the-art old age home and working women’s hostel; and Central Park (35 acres) and Northern park (22 acres). RERA has given an impetus to the buyer confidence and pushed the developers to ensure timely delivery. With Affordable housing getting the infrastructure status, a lot of tier I developers and institutional investors are taking interest in it. Units launched in 2017 recorded an overall absorption of 26%, demonstrating an upbeat market sentiment even in the backdrop of structural changes and policy reforms. Majiwada and Ghodbunder road witnessed the maximum action and together attracted about 67% of total new supply. Nearly 70,000 units were added in Thane during the past 6 years, of which 53% is already absorbed. Thane is becoming a synonym with an upcoming major metropolitan with well-framed wide roads, brightly lit up evenings, close proximity and quick accessibility to every important centre. Thus Thane is no doubt going to be the next destination for an all-round development and will stay on the radar of home buyers and investors.